How do shared labels work? 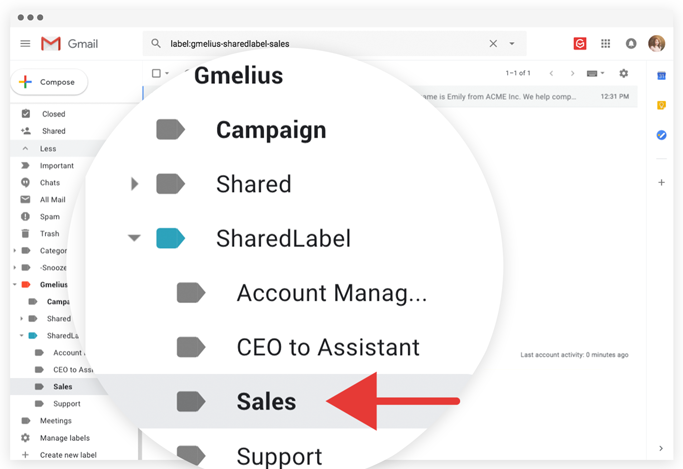 First ensure that Gmelius is active for your email address, e.g., sales@acme.com If not, just sign up using the latter account by heading to https://gmelius.io/signup Once Gmelius is linked to your primary account, add it to your Gmelius Team or CRM subscription (applies to legacy Business plan subscribers). 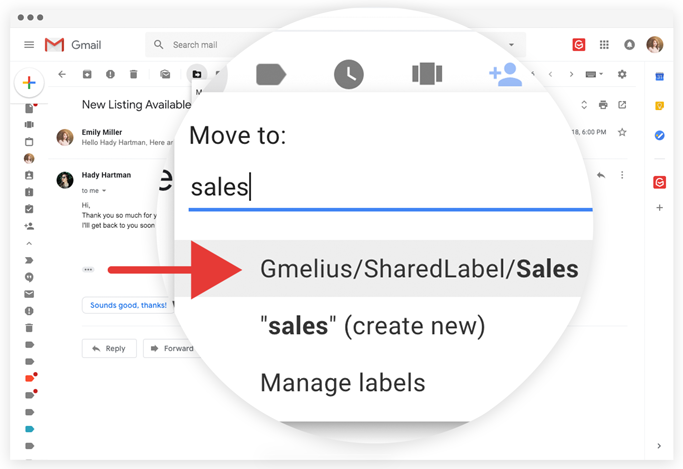 Once a Shared Label, e.g., Gmelius/SharedLabel/Sales is created for your shared mailbox, e.g., sales@acme.com you will find the label nested under your Gmelius label on your left Gmail pane. There are two ways to select conversations to share via the shared label configuration. 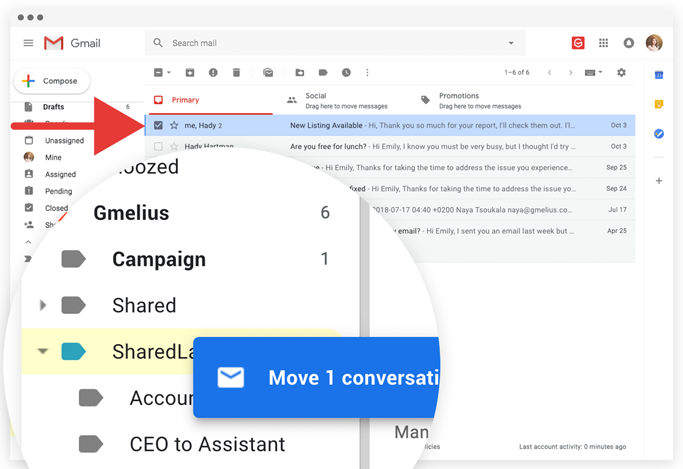 Move to button on your Gmail toolbar: Move the selected conversation to your Gmelius Shared Label folder and share it with your team by using the ''Move the message to a folder button/icon'' on your Gmail Toolbar.